Cumbrian rescuers have welcomed their new addition Eric to the team. Eric is a brand new control vehicle that has gone into service with Kendal Mountain Rescue Team after a fundraising campaign. It has been named in memory of former team member Eric Barrington. A Kendal MRT spokesperson said the four-wheel-drive Ford Transit was converted by a company in Lancashire. 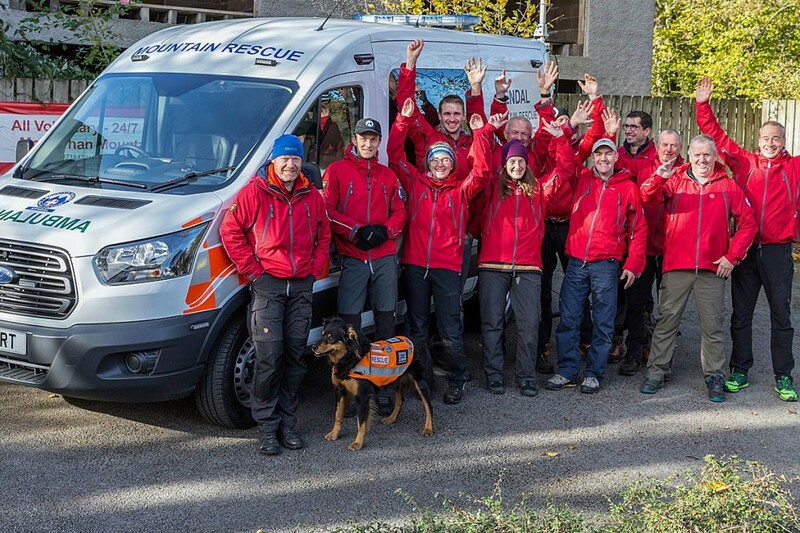 “It is equipped with both satellite and mobile broadband and integrates with the team’s digital radio system which allows communications with all the other mountain rescue teams across the Lake District,” the spokesperson said. “It has five seats to get rescuers to the scene of an incident. The two seats in the back are on swivel plates. This allows a desktop to fold up on arrival at an incident so that work can be done using the two computers built into the vehicle. “This gives the incident manager secure and reliable access to the Sarcall system that we use to communicate with other teams, the police, fire and ambulance service. The vehicle is equipped to provide practically all the resources that are available in the main control room at our base in Kendal. Eric replaces an older vehicle, which was passed on to Penrith Mountain Rescue Team earlier in the summer and has already seen use on a number of occasions ferrying rescuers around. Team leader Dave Howarth said: “This new vehicle is amazing. It will make managing callouts a lot easier by having the control point closer to the incident. Chairman Dave Hughes said “On behalf of the team I must thank the Westmorland Gazette and everyone else who contributed to the campaign, both companies and individuals. “We could not have done it without their help. I must also thank the team members who have taken a lead in designing and delivering this vehicle. It was a challenge to integrate the very latest technology and still deliver our basic needs in such a robust way.